We are thrilled to be helping present, along with our friends at the Northwest African American Museum and New Hope Baptist Church, this special evening with Valerie Jarrett, longest-serving senior adviser in the Obama White House, and someone whose history with President and Michelle Obama goes back, almost twenty years before then. She is here with her own new book, Finding My Voice: My Journey to the West Wing and the Path Forward (Viking). 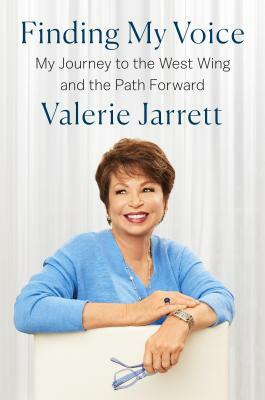 “Revisiting her illustrious career, from inner-city Chicago to the White House and beyond, Jarrett reveals the life-changing events that, though perilous at the time, enabled her to become a virtuoso corporate and philanthropic leader, and a valued presidential adviser.”–Booklist. Free admission is on a first-come, first-serve basis. Co-presented with the NORTHWEST AFRICAN AMERICAN MUSEUM and NEW HOPE BAPTIST CHURCH. Additional information is at www.naamnw.org.